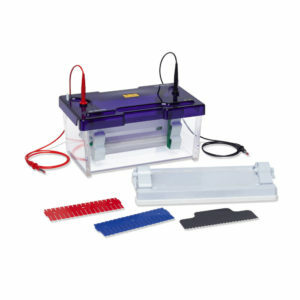 The perfect unit for routine vertical electrophoresis using pre-cast or hand-cast gels. 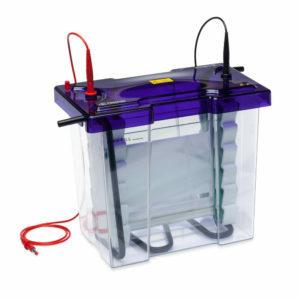 The omniPAGE MINI features injection moulded construction for leak proof running, and a simple clamp system to ensure a tight seal between buffer chambers to prevent current leakage. Featuring interchangeable modules including electroblotting module, high intensity electroblotting module and capillary IEF module. Gel casting and running is done using the same internal module, no transfer of glass plates during gel casting is necessary. The module also features unique sliding gates, which allow for a rapid set up of both hand cast and precast gels. The ultra soft silicone seals and pressure bars which surround the glass plates guarantee leak proof gel casting. 2mm thick glass plates minimise breakage and have bonded spacers for convenience. key features include injection moulded construction, compatible with all 8 x 10 and 10 x 10cm precast gels, rapid gel casting and loading, low buffer volumes, rapid set up cooling, and can run up to four gels in tetrad model. 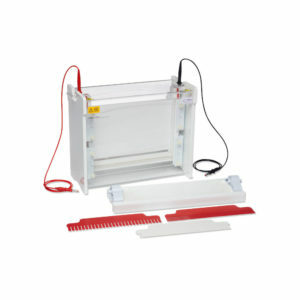 The Maxi WAVE system is designed to perform a variety of separations, including first and second dimension SDS-PAGE, native, preparative, gradient and high resolution nucleic acid electrophoresis, plus capillary tube gel IEF and electroblotting, the Maxi WAVE is one of the most versatile maxi vertical systems available. The omniPAGE Maxi WAVE is able to run up to four gels simultaneously and only requires four screws to secure glass plates, significantly reducing set up time. 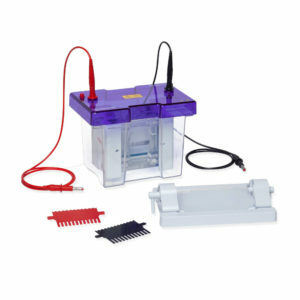 Featuring a detachable inner cooling coil facilitates rapid and uniform, smile-free electrophoresis, even at a higher voltages. Injection moulded construction guarantees long life with reliable and consistent performance.